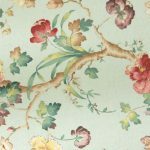 Clarence House Fabrics brings you a new imported collection from Italy. 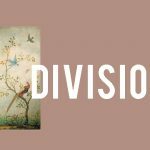 The Etro collection truly captures the rich history of Italian textiles while keeping a strong grasp of today’s design trends and the current mood found within interior design. 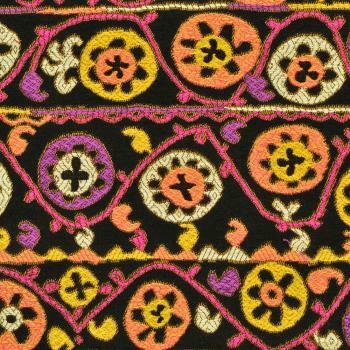 Inside this showcase you will find rich and vibrant paisleys, checks, and floral inspired patterns. 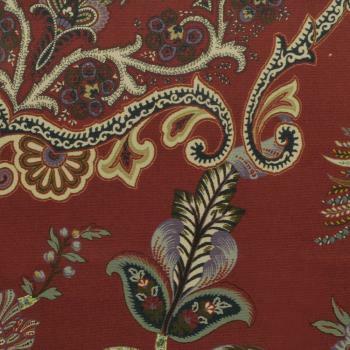 Using a wide array of red tones mixed with under-spoken emerald notes, the beauty of Italia’s countryside is captured in this rich textile multitude. Let’s dive in. 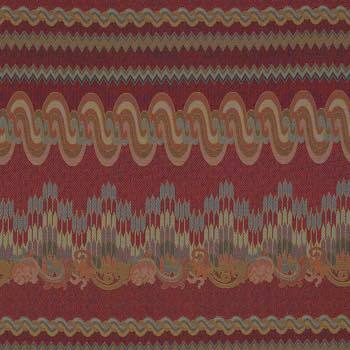 Acropoli by Clarence House has a vibrant ruby shade that uses soft golden tones to display intricate paisley inspired diamond checks. 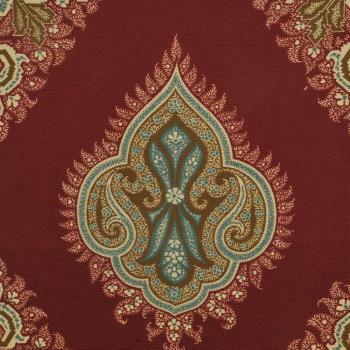 The fabric can’t help but have a regal sense about it. 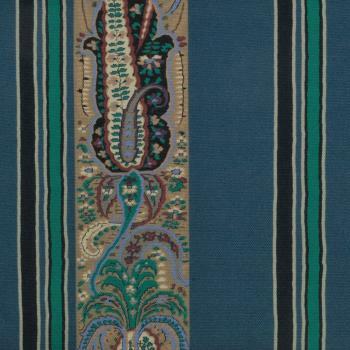 Something about an Italian Silk scarf has a sense of classic beauty. 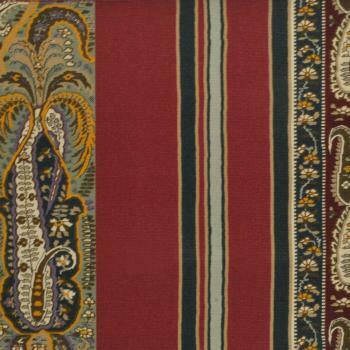 Banten captures this essence using varying width stripes in cream, rouge, and navy combined with alternating strips of paisley to create a similar glamour. 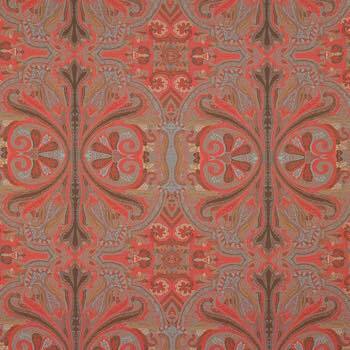 Ailanto uses brick red mixed with contrasting denim blue to create perplexing paisley like columns. 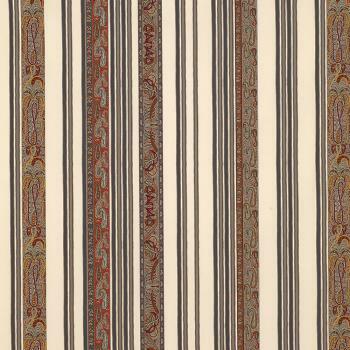 Dark brown detailing within the columns defines pointed shapes that give the pattern character. 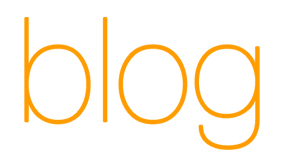 Anthology and Assembly are essentially the same pattern at different scales. Anthology being a large scale repeat, and assembly being the small scale counterpart. 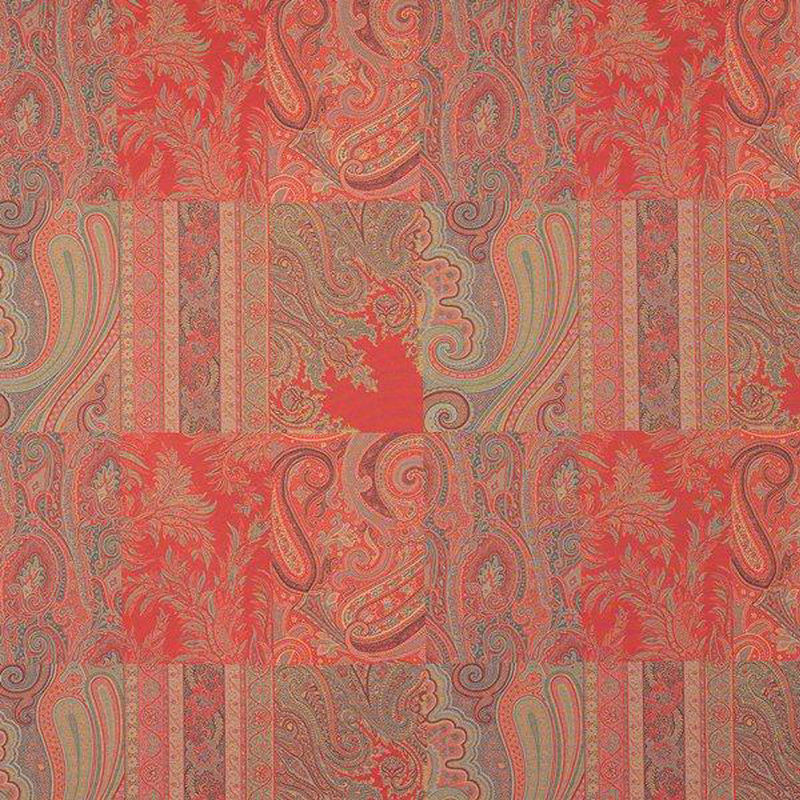 This deconstructed paisley checkerboard design truly feels current, and the strategic mix of red, gold, and emerald is calculated precisely to ensure a smooth mixture of colors, with no color overpowering the other. 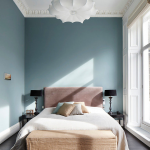 The mixture of taupe and deep plum purple has always been a sophisticated combination that creates a great dynamic. 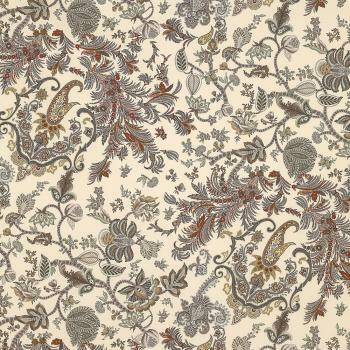 Alnus uses this color combo mixed with other grays and browns to portray snaking tressils of vines with well structured damask motifs through out. 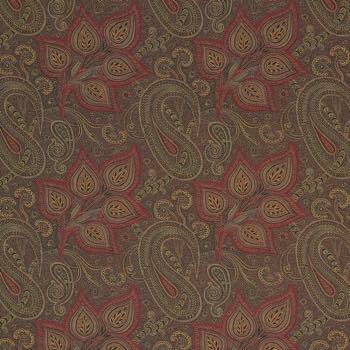 Blora is a traditional floral inspired paisley. Many varying shapes of vines and foliage create excellent texture. 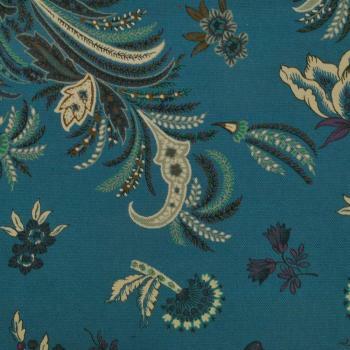 Aloysia’s soft gray vineyard twirls atop deep midnight blue is a mystifying combo of dark colors that somehow keeps the details from being too blended into the background. 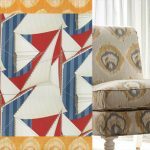 Beitan is a geometric pattern fixed along horizontal stripes depicting floral-like shapes. 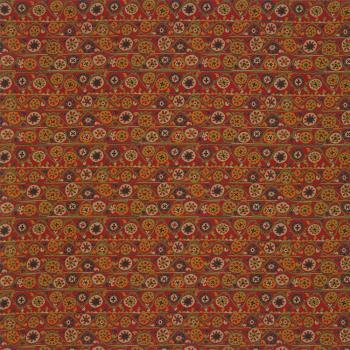 This playful print is available in the traditional deep Italian red color scheme, or the more playful eccentric mix of neon pink, purple, orange and yellow, or the garden mix of oranges, greens and browns. 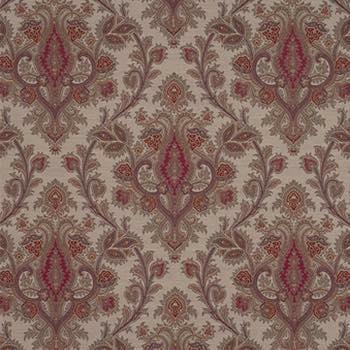 Ardisia is a large stamp like paisley that uses burgundy top gray green, swirling points on each motif give the pattern more texture. Astelia uses a similar color scheme. 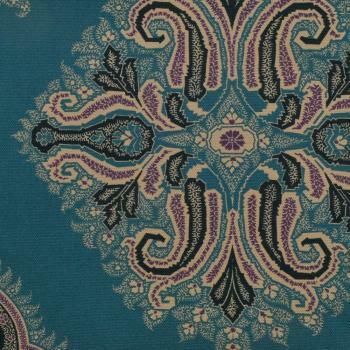 It is a more traditional all-over paisley using large leaves and paisley swirls to pack every square inch with detail. 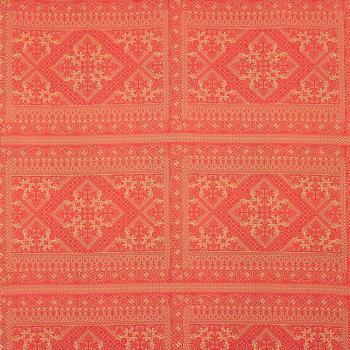 Bagan uses horizontal stripes in the form of different geometric patterns to create its entirety. 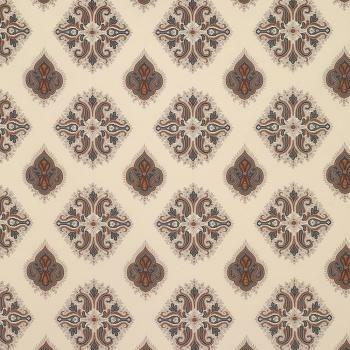 This color scheme is prevalent through out this collection, and is very Italian inspired. 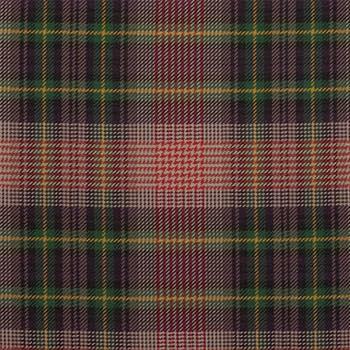 Archibald is a tartan checker that uses emerald and gold contrasting stripes amidst the burgundy and faded plum to create highlights. 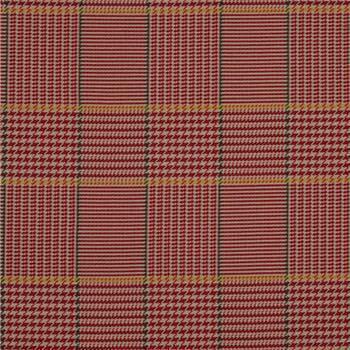 Argyll is a similarly structured plaid that has houndstooth intersections between checkered rows in a mostly red color scheme. 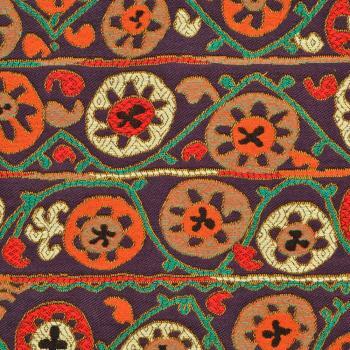 The two patterns incorporate many of the same colors in unique ways. 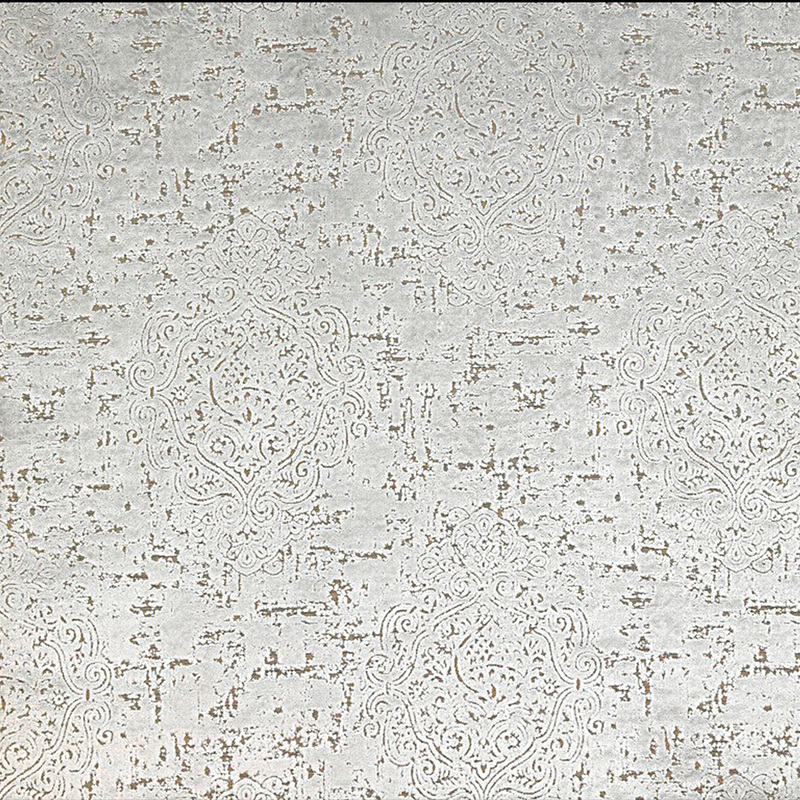 Calliope is a viscose and polyester blend that uses damask inspired shapes within a distressed background in a lustrous and metallic silver color. 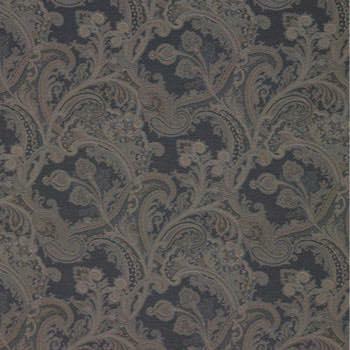 Bogor is a all over damask repeat pattern. 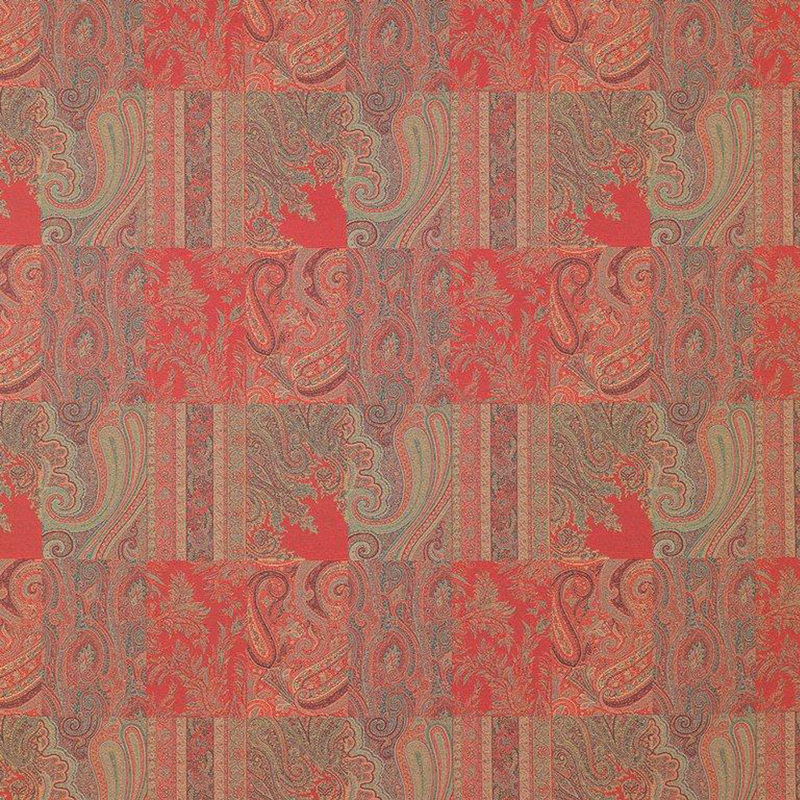 Using smaller damask shapes with feathers extending outward between complex geometric paisley inspired shapes. This combination spread out on the clean background is truly elegant. 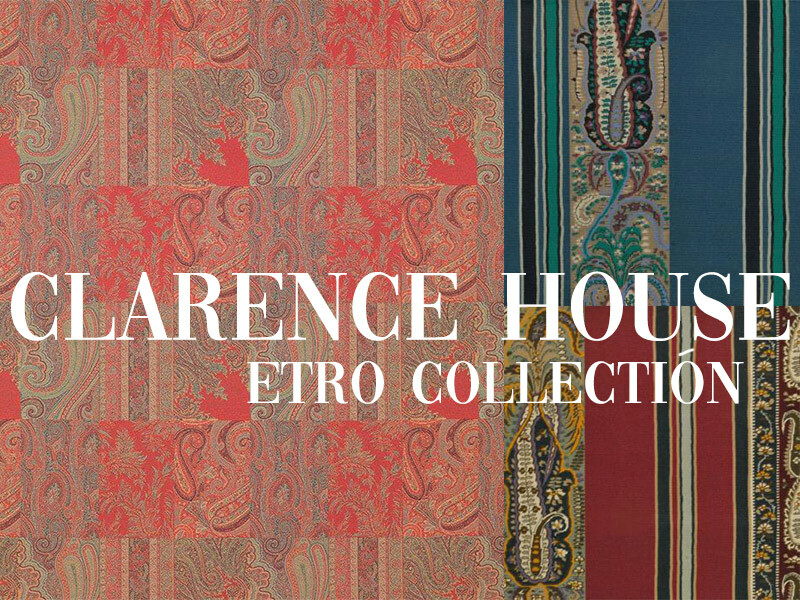 This concludes our coverage of the Clarence House Fabrics : Etro collection. 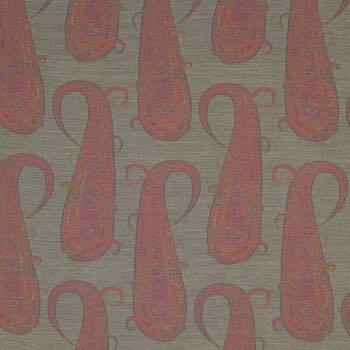 If you enjoyed any of these fabrics feel free to click on the swatch for more details. 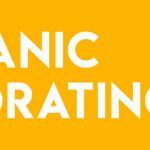 You can always give us a call if you have any questions and we can help you get your order started. 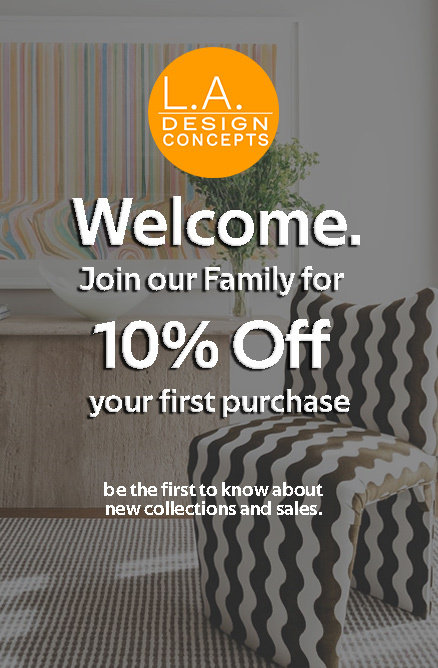 We carry all the top designer brands from Clarence House, to Kravet Fabric, and more. Until Next time!